Chef Michael Muirhead, owner of Mas Taco holds a container of housemade escabeche (pickled vegetables) now on the retail market. Empanadas with "Rajas" - roasted poblanos and onions, jack cheese, and crema. His “homemade” concept has earned Muirhead recognition in 2016 and 2017 as the James Beard Foundation semifinalist for Best Chef Northwest. The first year he earned the award, he discovered the news online when he was perusing the website. “That was quite an honor and quite a surprise,” he shared. 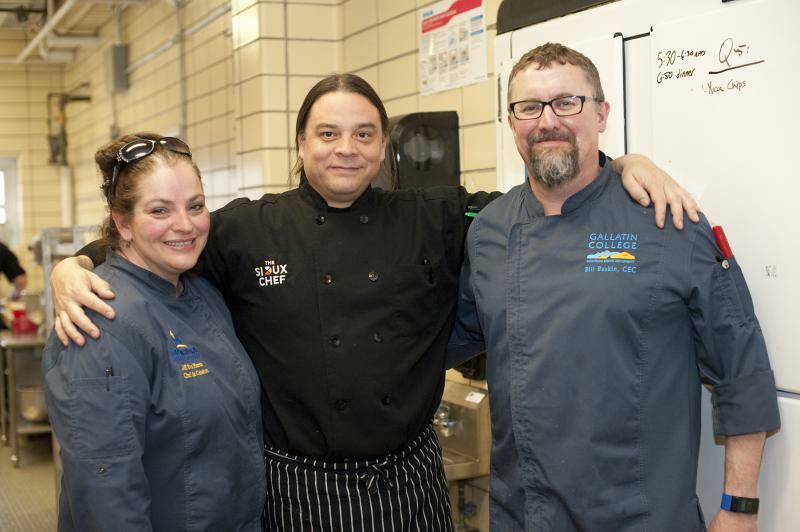 In 2017, nearly 300 chefs were submitted for consideration for the category and he was one of the 20 semifinalists. The restaurant is located in a repurposed Conoco gas station on the main drag. Muirhead remodeled the building keeping much of its integrity, expanding the original building 350 square feet to total 760. The former main door has been moved, integrated into the wall at the front foyer with the original opening now a window. Asano Otus, General Manager at Mas Taco, is the friendly face that greets you at the cash register to take your order. The space is intimate with an open kitchen and seating inside for only 13 people. In the summer al fresco dining is available on the patio outside. The intimate indoor dining area includes a few chairs at a high counter offering views into the kitchen. Along one wall are the stoves and grills and a vertical broiler for cooking al pastor. “A lot of people in Montana Mexican restaurants have al pastor on the menu but I have yet to see it spinning on a vertical rotisserie, on a spit.” Muirhead roasts pork marinated with an achiote rub spiced with cinnamon underneath a whole pineapple that drips juices onto the meat during cooking. The roasting of the al pastor inspired Mas Taco’s logo image of a pineapple with a pig snout in the center. A menu board is found on the wall off to the side and in chalk above the open kitchen. Muirhead has simplified the menu visually. “We figured we have 40 or 45 different combinations on our menu,” Muirhead said. It is divided into two basic categories: filling and style. Five fillings include: “Al Pastor;” “Pollo” or braised chicken with poblano and onions with a salsa tomatillo; “Carne Asada” with char-grilled skirt steak, salsa roja and arbo; “Rajas” with roasted poblanos and onions, jack cheese, crema; and “Camarón with sautéed white shrimp “Mojo de Ajo” Style with garlic, lime, cilantro. After making a decision on the filling, the diner then can choose a style on how to best enjoy the filling. Choices range from taco, empanada, quesadilla, burrito or a salad. A vertical rotisserie cooks Al Pastor the traditional way with a pineapple on top of pork marinated with an achiote cinnamon spiced rub. Daily specials are available each day of the week. On Tuesdays, there are fish tacos; Wednesdays, Baja style fish tacos; Thursdays, seasonal vegetable empanadas, chile relleños on Fridays and wet burritos on Saturdays. Lately Mas Taco has ventured into retailing the pickled vegetables known as escabeche, and their Salsa Roja made with tomatoes and the Arbol Salsa with “bird beak” chiles, available locally at the Moon Lake Market and Beartooth Market, both in Red Lodge and at the East Rosebud store. The added business requires Mas Taco to find additional space for food prep, currently in the basement of the old Mount Maurice Hospital building. The brick structure with a two story castellated round tower was most recently the annex to the courthouse, but now houses offices and the new Caffe’ La Vida – a coffeehouse and crepery. 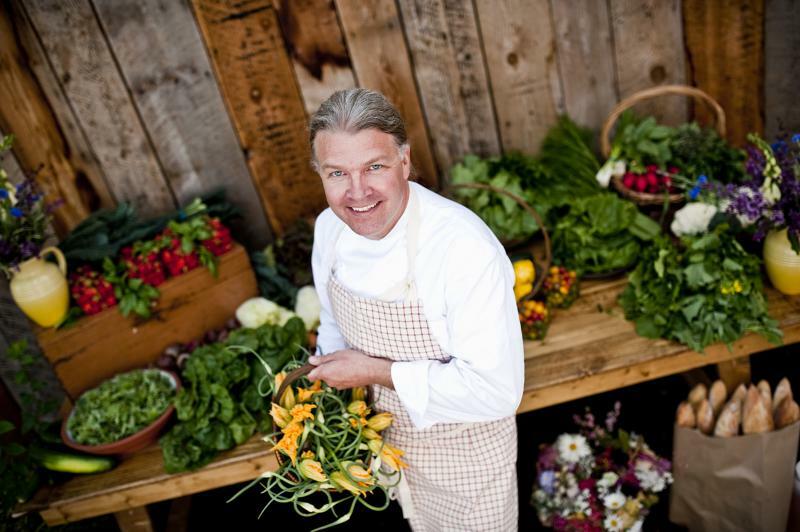 Muirhead’s culinary career began early as a busboy in downtown Los Angeles. At 17 he moved north to Camarillo, where his uncle had opened a restaurant, the California Grill. He worked his way up from shucking oysters to line cook, spending full time at the restaurant while attending high school. Muirhead ‘s cooking skills have been honed while working in more than two dozen restaurants, including time in Florence Italy. His experience at Norbert’s Restaurant in Santa Barbara and Spago’s Beverly Hills were the most impactful. Working with Norbert Schulz in an intimate restaurant catering to celebrities provided a great learning experience in serving multi-course meals. Muirhead said of Schulz, “He was probably my biggest mentor at the time. We did everything in house, from scratch.” Only 22 years old, Muirhead took over as the nighttime chef job at Brigette’s on State Street, another of Shulz’s restaurants. The Mas Taco logo is a pineapple with a pig snout in the middle, paying homage to the Al Pastor they sell at the restaurant. Speaking of his Spago’s experience, “It was the best culinary experience for me. We catered the Academy Awards, we did all the high end stuff, and that was before they moved their catering operations off premise.” He continued, “It was a crazy operation, it was so busy” when working with 50 cooks in the kitchen. In 2010, Muirhead made the decision to leave California behind, trading his surfboard for a climbing axe to settle in his wife Jenny’s hometown of Red Lodge. Having experience in Mexican cooking, wanting to fill the culinary void in Red Lodge, Muirhead and his wife decided to open up their own venture. The old gas station came up for sale, providing a site for Mas Taco. Muirhead works closely with General Manager Asano Otsu who first came to Red Lodge as the Lead Instructor for the Outward Bound Wilderness program in Montana, rising to local Operations Manager. She met her future husband, graphic designer Paul, owner of Headwaters Studio, and settled in to the local scene. After working at the Red Lodge Fire Department as the volunteer coordinator, Otsu joined Muirhead in 2016 at Mas Taco. At the restaurant, Otsu does it all, from taking orders to preparing the pickled vegetables to addressing business issues. I lived in California most of my life and Mexican food played an important role in my dining. Mas Taco has kept that nostalgic flavor alive for me and my husband. Muirhead’s hint on making these vegetables is by the time the pickling liquid comes to a boil, it is time to remove the vegetables off the stovetop. The pickles are ready to eat when they cool to room temperature. They are best stored in the refrigerator. Add oil to a pot over medium high heat. Add vegetables and sauté until slightly tender. Add marjoram and salt. In another pot over high heat, add ingredients for the pickling liquid. Bring to a simmer. Place vegetables in a large heatproof container. Pour liquid over vegetables. Let cool to room temperature. Then store in the refrigerator for up to a month.